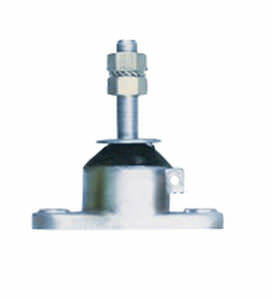 Flexible supports of aluminium base, sinthetic rubber, screw and washer in stainless steel AISI-316. It can support 75 kgrs. Maximum reduction of vibration.